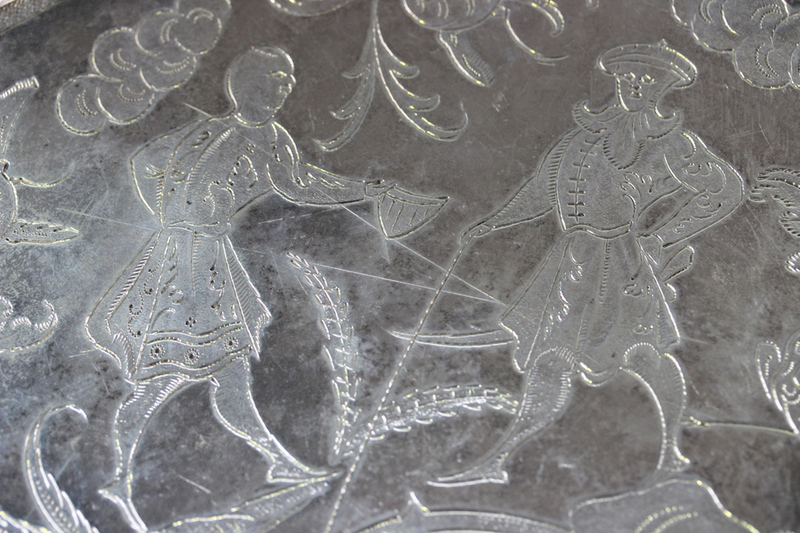 Toovey’s forthcoming Specialist Sale of Silver on Wednesday 21st May 2014 includes a James II silver footed salver or tazza, flat-chased with a chinoiserie scene. This salver measures 34cm in diameter and is among the largest of its type. 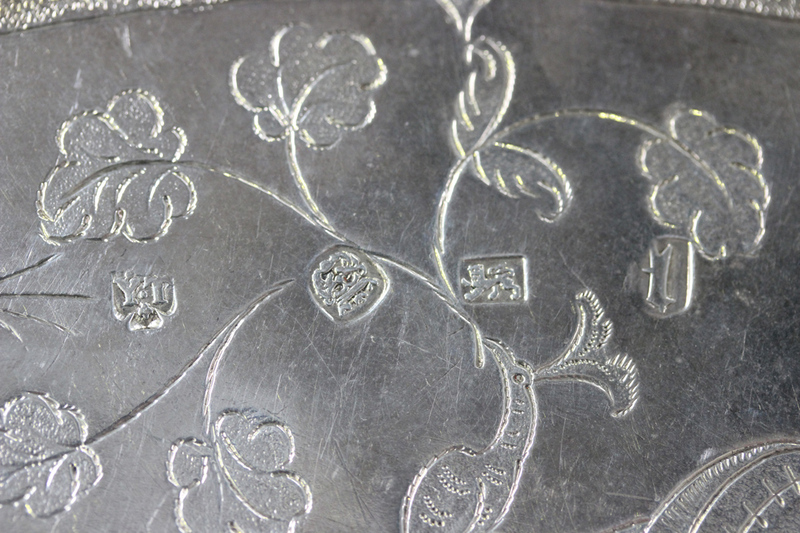 It is hallmarked for London 1688 by Benjamin Yate and carries a pre-sale estimate of £30,000-50,000. 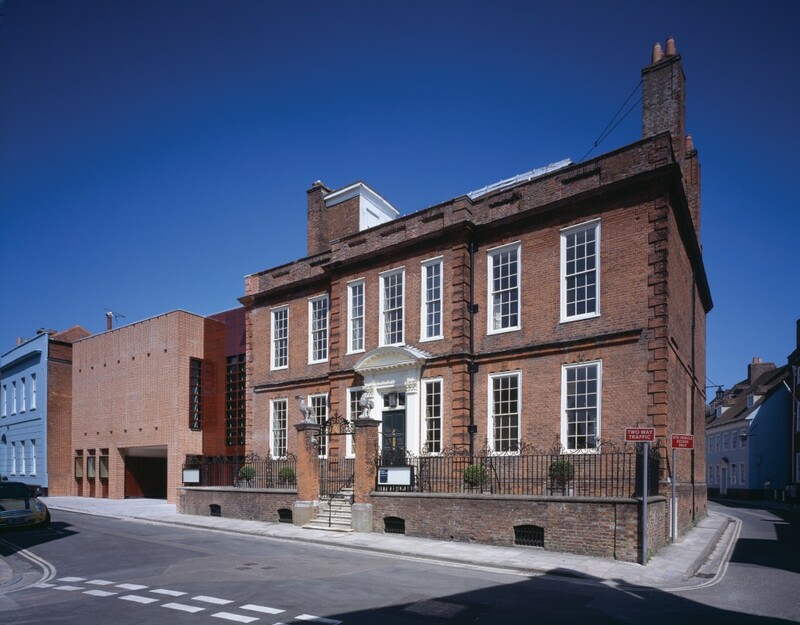 Contextually, this piece was produced just twenty-two years after the Great Fire of London, following which an estimated four fifths of the city had to be rebuilt and, more importantly, countless homes refurnished. This is only five years after the English East India Company nearly went bankrupt after a ferocious price war with the Dutch East India Company (Vereenigde Oostindische Compagnie) over market share. It is also the same year as the so-called ‘Glorious Revolution’, with Prince William of Orange arriving with his army in November 1688. The footed salver was created during a period often referred to as England’s ‘Silver Age’. The higher production and quality of the pieces produced at the time ensure that items from the last quarter of the seventeenth century survive in surprisingly large numbers, spared from the melting pot for over four centuries. The indulgence in the precious metal of the era was a reaction to and a celebration after the uncertain times preceding the reign of Charles II. The influence of items originally imported from Asia by the Dutch East India Company had a huge impact. The fashion for anything Chinese swept across Europe, leaving a disparity between supply and demand. Manufacturers producing faux Chinese or ‘chinoiserie’ designs on pieces, including furniture and ceramics, became increasingly common. This piece is scarce because of its ornament; it is in stark contrast to the abundant embossed decoration more typical of the period. This distinctive chinoiserie decoration on silver is largely considered to have been undertaken at a single workshop between 1680 and 1688. It is speculated that only a few hundred pieces would have been decorated in this particular chinoiserie style. Perhaps the craftsman died, which would explain the small numbers and the distinct cut-off at the same date as this salver. 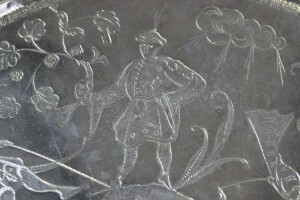 Flat-chasing resembles the appearance of engraving but its creation uses the pressure of tools to make the delicate line, rather than digging away at the metal. Today, it is largely believed that the designs were derived from a book written by Johan Nieuhoff, titled ‘Legatio Batavica Ad Magnum Tartariae Chamum Sungteium…’, first published in Amsterdam in 1668 with over 100 plates, plans and illustrations. It is certain that the decorator of the salver never travelled to Asia and probably used this book as inspiration, because the figures show the same ethnographic inaccuracies as Nieuhoff’s work. 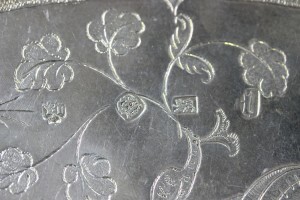 While silver of this date does survive, examples of this type and quality are few and far between and seldom come to auction, unless part of an important silver collection. The consignment of this salver has a different story to tell. 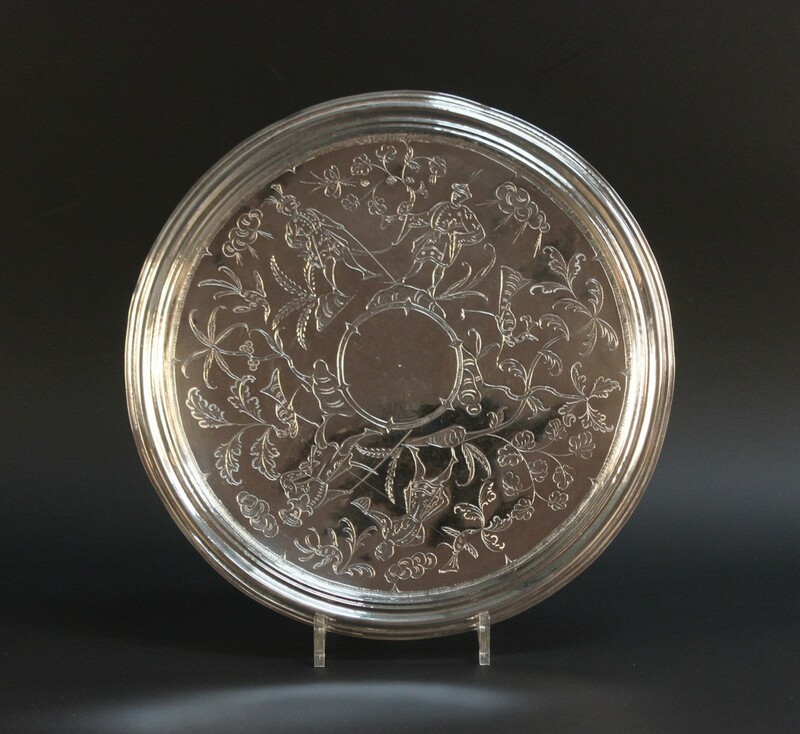 It was brought to Toovey’s reception with a few plated toast racks and valuer Will Rowsell recalls that the vendor did not even realize the salver was silver, let alone the importance of the piece. After consulting with Toovey’s silver specialist Tom Rowsell, the two brothers decided further research was required before offering a definitive opinion. Both were confident that the salver had all the indications of being an important piece of silver. The vendor had inherited the item from his father, an antiques dealer active in the middle part of the 20th century, but had never considered its value until recently. When reporting back to the vendor on the telephone, Tom recalls making sure they were sitting down before discussing the pre-sale valuation of £30,000-50,000! 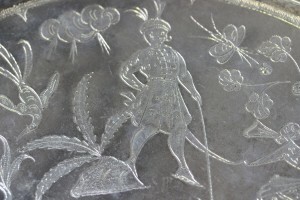 The James II silver footed salver will be offered as Lot 350 in Toovey’s Specialist Sale of Silver on Wednesday 21st May 2014, commencing at 1pm. If you would like to have your silver valued, please contact our offices to discuss your requirements and the best way to proceed. 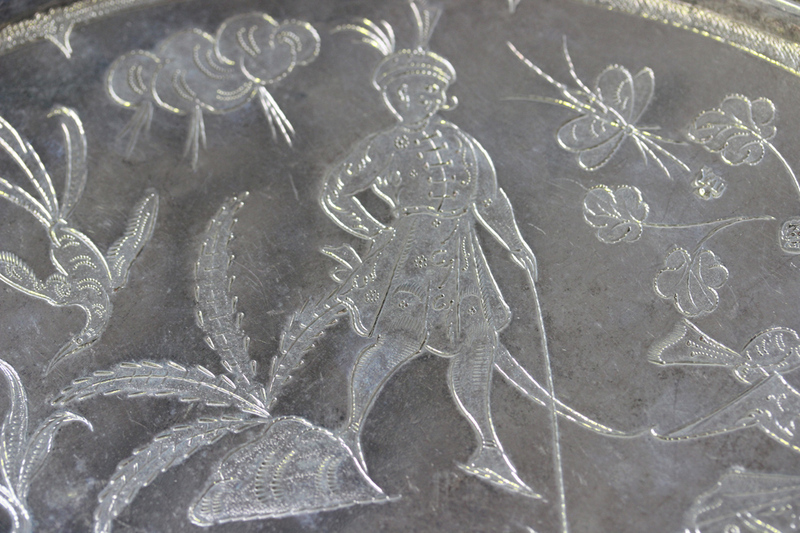 This salver is proof that it is always worth checking an item’s value with the specialists at Toovey’s. 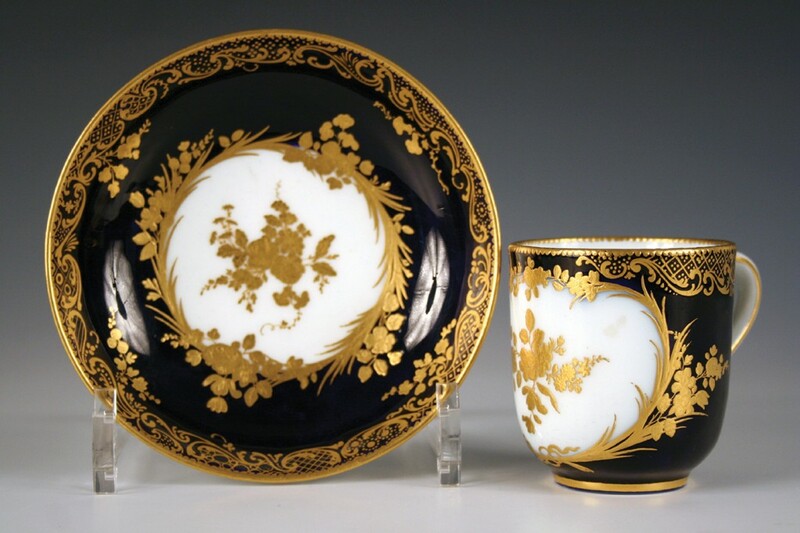 The French porcelain which became ‘Sèvres’ began at Vincennes around 1740, when the French nobleman Orry de Fulvy established a manufactory at the Châteaux de Vincennes, near Paris, and employed Gilles and Robert Dubois. The Dubois brothers, one a sculptor, the other a painter, were runaway workers from the Chantilly porcelain factory in Oise. They claimed to know the secret of porcelain manufacture and were joined by fellow Chantilly worker Louis-François Gravant. In 1745 a company was formed and King Louis XV granted a royal privilege giving Vincennes an exclusive right to make porcelain decorated with figures and gilding. The privilege even prevented Vincennes workers being employed elsewhere. Like the later Sèvres pieces, Vincennes output was commonly marked with interlaced ‘L’s to the bases. The Vincennes cup and saucer illustrated dates from 1752. The inky blue-glazed ground sets off the richly gilded flower sprays and laurel garland beautifully. Pieces such as these are highly sought-after by collectors around the world and this cup and saucer realised £2600 in a Toovey’s specialist auction. In 1756 the manufactory was moved to new buildings at Sèvres. Success in making hard-paste porcelain of the type produced by Meissen and the Chinese remained elusive, despite large sums of money being paid, often to false arcanists. 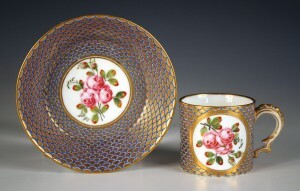 In 1769 this goal was achieved, though few hard paste porcelain pieces were produced until 1772. Those that were made were marked with interlaced ‘L’s beneath a crown. This mark was used at Sèvres in various forms until 1793. 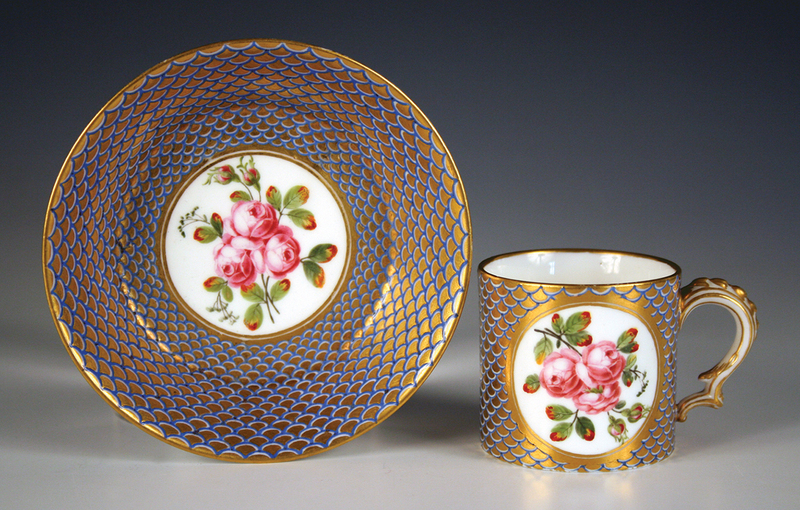 The Sèvres porcelain coffee can and saucer, circa 1776, painted by Guillaume Noël with circular rose vignettes within blue and gilt scale borders, shows the extraordinary skill of the artists working at the factory. It was marked to the base with blue enamel interlaced ‘L’s, date code and Noël’s monogram and was sold at Toovey’s for £2200. A particular favourite of mine was this exquisite Sèvres porcelain plateau carré of square outline, circa 1764, which we auctioned for £3000. It measured a little under six inches in width. Jean-Baptiste Tandart’s fine painting delights with four cornflower and pink rose oval garlands, alternating with puce ribbon ties, on a stippled gilt ground. 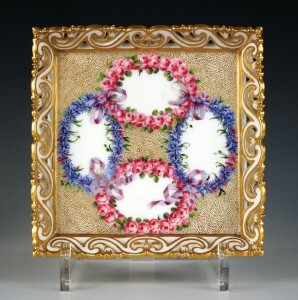 The delicate composition is framed by a pierced Vitruvian scroll rim, heightened in gilt. 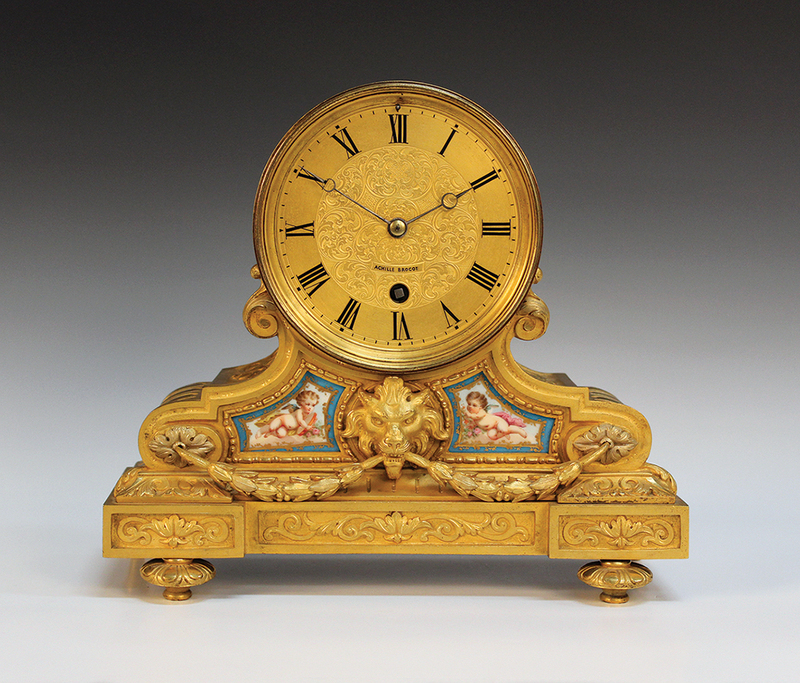 Many French clocks and pieces of furniture are decorated with Sèvres-style panels. This fine mid-19th century French ormolu mantel timepiece had a year-going, five-spring barrel movement by Achille Brocot. The case is decorated with Sèvres-style porcelain panels, painted with cherubs within bleu céleste and gilt borders. Son of the famous Louis-Gabriel Brocot, Achille Brocot is recorded as working at Rue d’Orleans au Marais, Paris, between 1850 and 1874. It sold in a Toovey’s specialist clock sale for £2200. The qualities of Sèvres porcelain are sublime and still captivate the eye of the connoisseur today. Toovey’s next specialist sales of porcelain and clocks will be held on 22nd May 2014. If you would like advice on the sale of your fine china or timepieces, contact Tom Rowsell on 01903 891955. By Revd. Rupert Toovey. Originally published on 23rd April 2014 in the West Sussex Gazette. The frescoes at St Mary’s parish church in West Chiltington, Sussex, were uncovered in 1882. Contemporary 19th century records note their excellent colour. Conservation work was not undertaken until the 1930s. 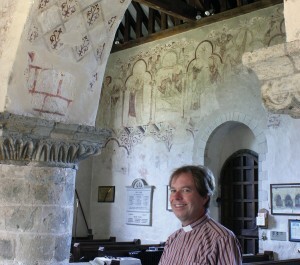 Frescoes are wall paintings, painted directly on to the plaster while it is still wet. 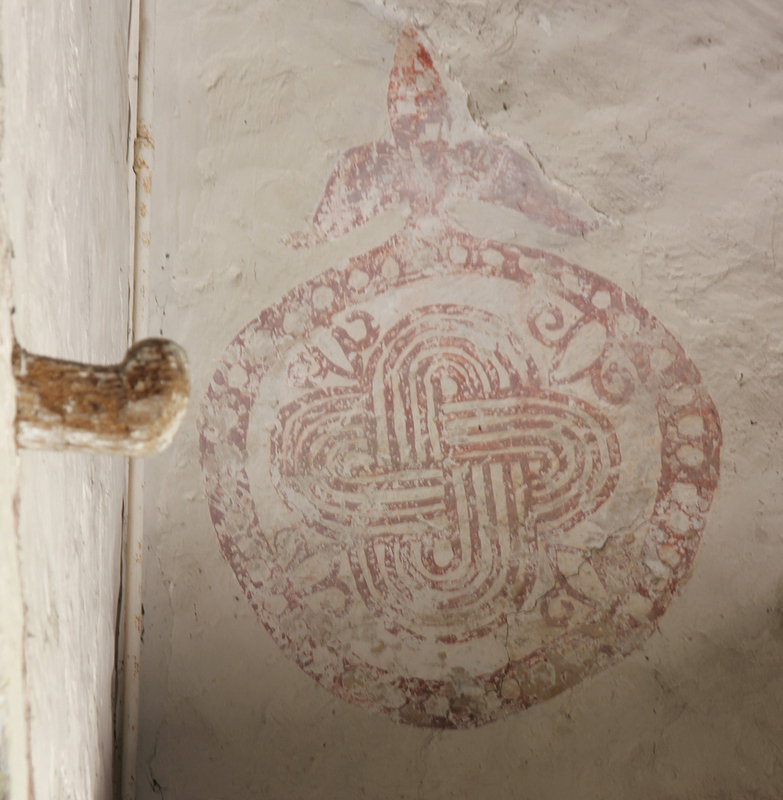 The artist has to work quickly as the pigments and image are fixed as the plaster dries. This technique was used throughout the Renaissance in Italy and elsewhere. By Revd. Rupert Toovey. Originally published on 18th April 2014 in the West Sussex Gazette.